I"m entering the new year with a pep in my step unlike any I can remember. I'm inspired and invigorated to try things and create things and experience things like never before. I have made two resolutions, which I'm keeping to myself, because it is up to me to keep them. 1. 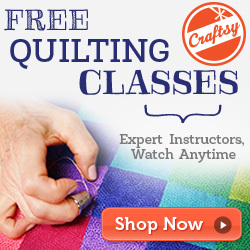 I want to learn new things and try new things - take another quilting course (I did a machine quilting course last year but am keen to try a sampler/ beginner piecing course). Try some new blocks such as the spiderweb and the dresden plate. 2. I want to get my sewing room and my stash really well organised - this has been started however have to wait another week or so for my cabinet to arrive. 3. I want to create some more things for my home, cushions, maybe a wall quilt, a runner for the foot of my bed etc etc. I could go on an on but I feel you may drop off to sleep, some of it is just not that interesting! :) I think my renewed vigour is mostly due to the generosity of my husband. A couple of months ago we made the decision that I would stop working. My husband understands my desire to create and my wish to make it something more than just a hobby. But even as a hobby he gives me the space and time I need to pursue it - thank you hon.